La Favorita Pesto Genovese with Truffles - Miam! 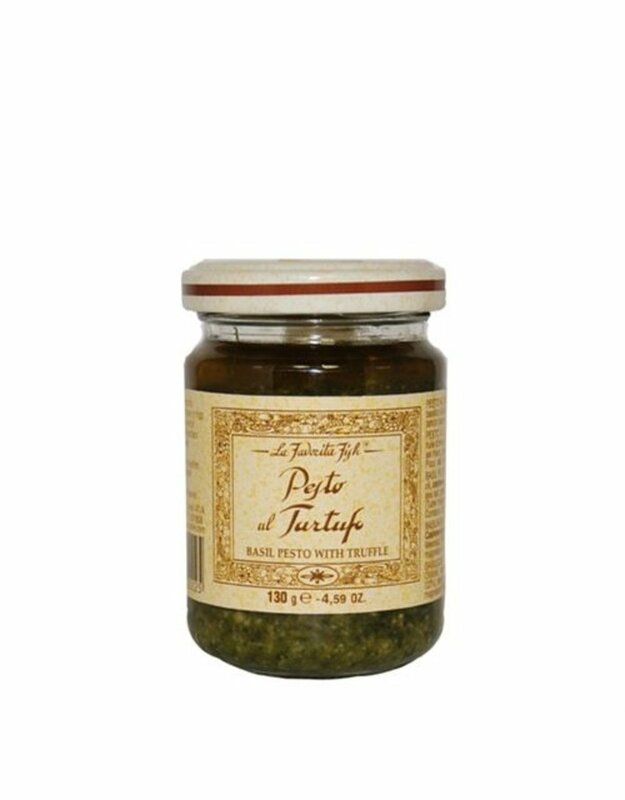 Delicious Pesto Genovese with Truffles, makes for a great appetizer. Dip your favorite fresh baked bread into this pesto for a quick easy snack. This pesto is the perfect blend of olive oil, cashews, pine nuts, basil and truffles from Liguria. Made in Italy, this pesto fully embodies the taste of it's roots.